For those who want to become more familiar with Russian contemporary fiction, we have launched our audio book series for easy listening. Enjoy! 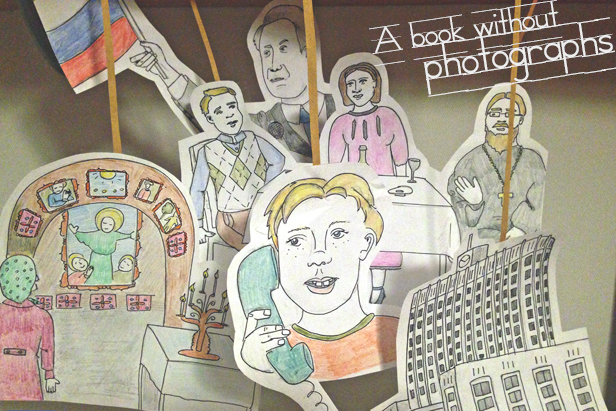 Sergei Shargunov’s A Book Without Photographs follows the young journalist and activist through selected snapshots from different periods of his remarkable life. Through memories both sharp and vague, we see scenes from Shargunov’s Soviet childhood, his upbringing in the family of a priest; his experience of growing up during the fall of empire and studying journalism at Moscow State University; his trip to war-torn Chechnya and Kyrgyzstan during the revolution; his first steps towards a fledgling political career. The book reflects the vast social and cultural transformations that colour Russia's recent history and mirrors the experience of an entire generation of Russians whose lives and feelings are inextricably intertwined with the fate of their homeland. "Photographs never leave you. They stay with you all your life, and after you are dead. A cemetery is a photo album. Many faces, usually festive and welcoming. Virtually at the moment when the flash was fired, people thought about where their photos would go. And those smiles? The surname, the years of life and a calm face that believes in immortality. All around, the buzzing of flies, plants, other faces, who also don’t know that they are masks behind which decay runs rampant." Shortlisted for the National Bestseller Prize and a contender for The Big Book Award, A Book Without Photographs showcases the talents of one of the country’s brightest lights; a key player in a generation at the forefront of change in contemporary Russia.